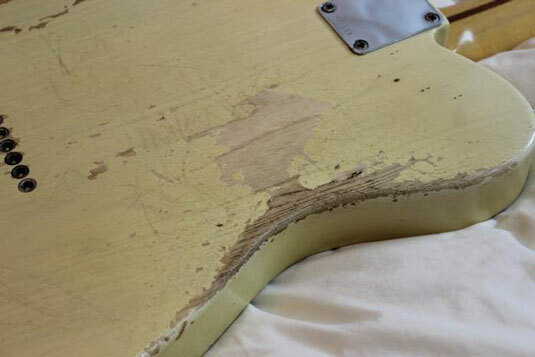 Several woods have been used to construct electric guitar bodies over the decades. The four described in the following discussions are by far the most classic, appearing in the seminal designs of the 1950s and ’60s and continuing to be used today. Mahogany is a rich, warm-sounding tonewood with good depth. It has long been used by Gibson, Epiphone, Gretsch, and other makers of that mold, where it is used in a variety of ways. For example, it’s used on its own in single-wood solidbodies (examples include Gibson SG, Les Paul Junior) and as the back of a solidbody with a maple top (examples include Gibson Les Paul Standard, Gretsch Duo Jet). Mahogany has only very rarely been used by Fender, and is less often seen as a choice in bolt-neck guitars in general. 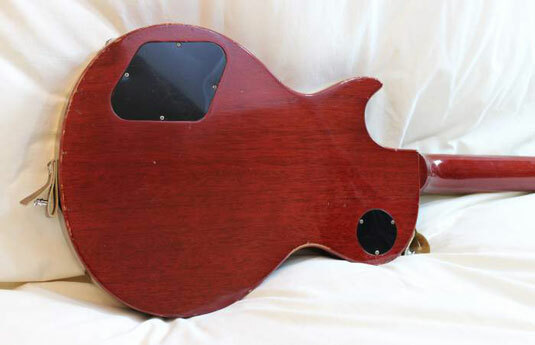 In appearance, mahogany is medium brown with a fine, tight, attractive grain and is often stained to a darker brown in guitars with a natural finish. Maple has a clear, bright, well-defined sound, which is sometimes called snappy or percussive. It is rarely used on its own in guitar bodies, because it can be a dense, heavy wood and also usually requires another wood to round out its tone. 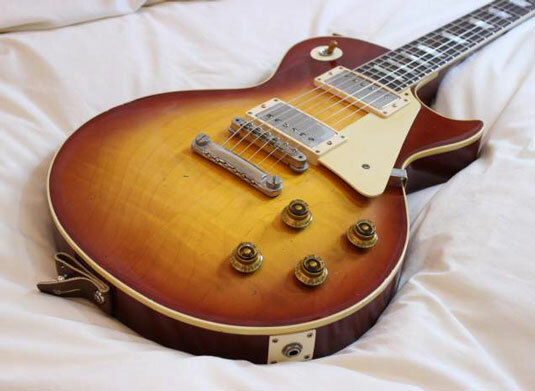 It’s classically seen as the carved top capping a Les Paul’s mahogany body, and is a popular ingredient in hollow- and semihollow electrics, where it adds clarity. Looks-wise, maple is a light white-to-yellowish wood; figured or flamed maple can have a dramatic grain pattern that results in the wavey, stripey appearance seen in the maple tops of some guitars. Ash has an open, slightly airy sonic quality with firm lows, sweet highs, and a slightly pronounced midrange. It is most preferred by guitar makers when harvested as swamp ash from the lower sections of trees that grew beneath the waterline in wetlands of the southern United States. The porosity of this tonewood makes it lively and resonant, as well as somewhat lighter than other types of ash. Swamp ash is one of the classic Fender body woods and is found in most traditional blonde Telecasters as well as many early Stratocasters. It is light tan in appearance, but with a broad, attractive grain. Alder came into use at Fender in the mid ’50s and was used alternately with swamp ash from there on out, remaining popular with several makers to this day. It has a balanced, musical sound that features complex highs, full lows, and a well-rounded midrange. Alder has a light-tan to reddish appearance, with a fine grain that is not usually particularly interesting, and is often covered by an opaque finish.